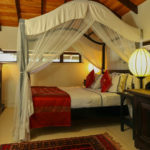 The bungalow has three comfortable bedrooms (with 4 beds in total) and is rented as a full unit for friends and family groups. 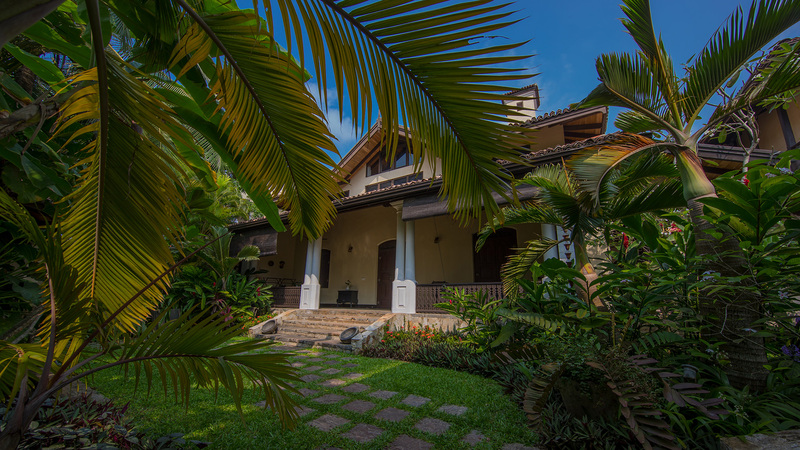 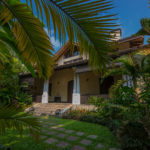 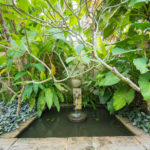 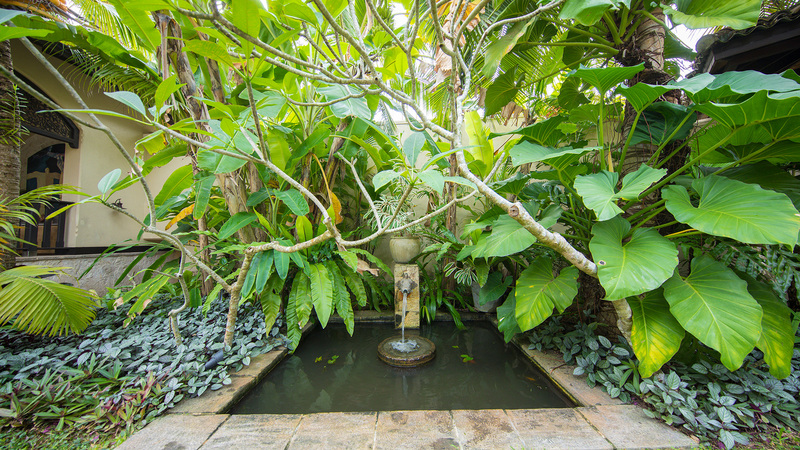 It features its own private fountain garden and entry onto deeply shaded verandahs roofed with original handmade clay tiles and supported by Tuscan columns. 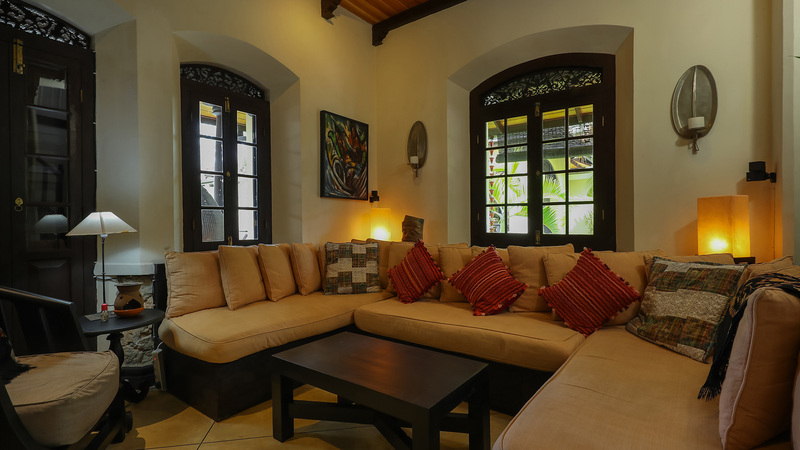 The verandahs are furnished with casual cushioned chairs, coffee tables and a bookcase. 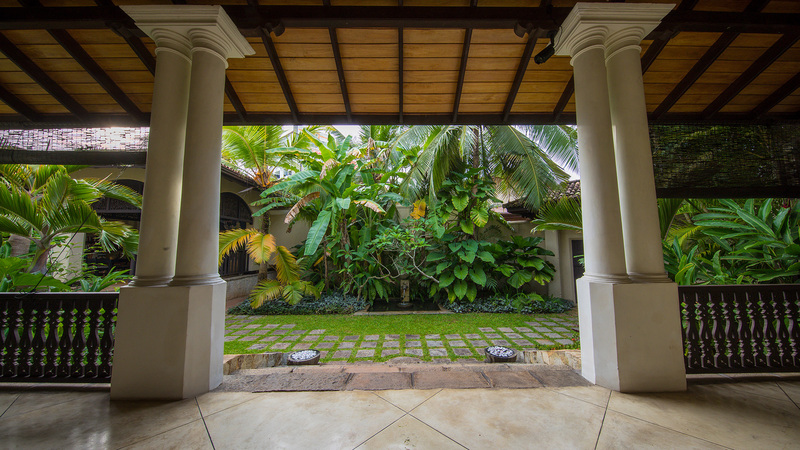 Paired doors open directly on the opposite side of the bungalow to reveal an internal courtyard with a granite fountain and small garden. 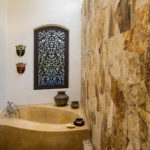 This creates a breezeway effect and good cross ventilation throughout the house. 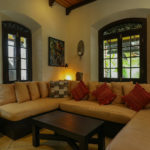 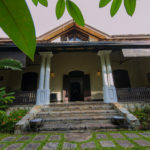 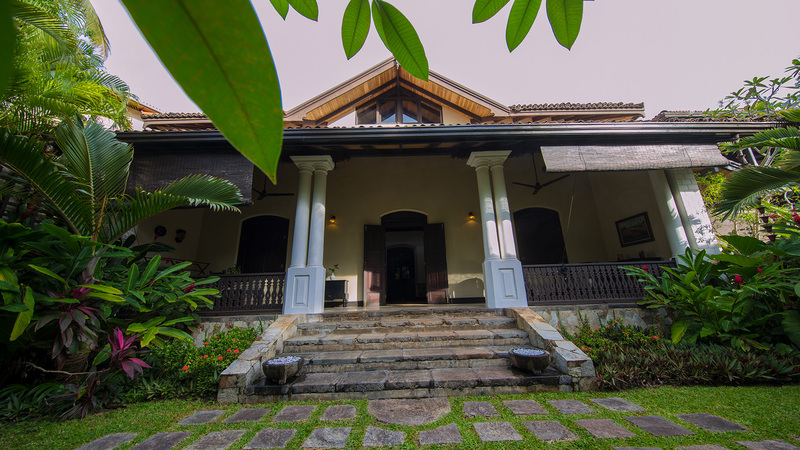 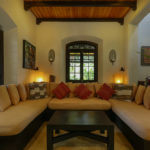 Extensively renovated to add an upper floor, the bungalow retains all of its original colonial details, including hand carved panelled jackwood doors, window shutters and delicate timber friezes set in deep arched reveals above the windows and doors. 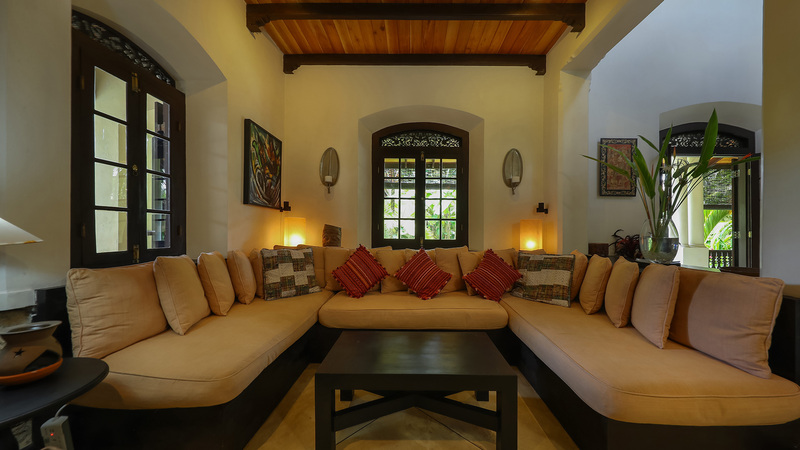 This has the effect of allowing a soft light to penetrate the bungalow. 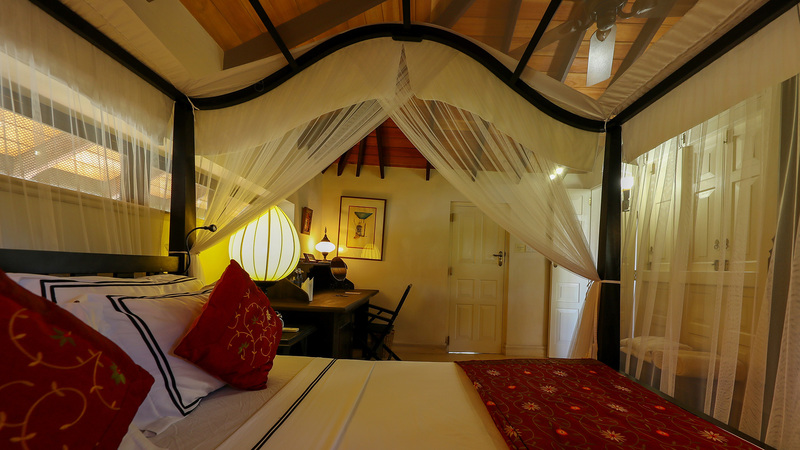 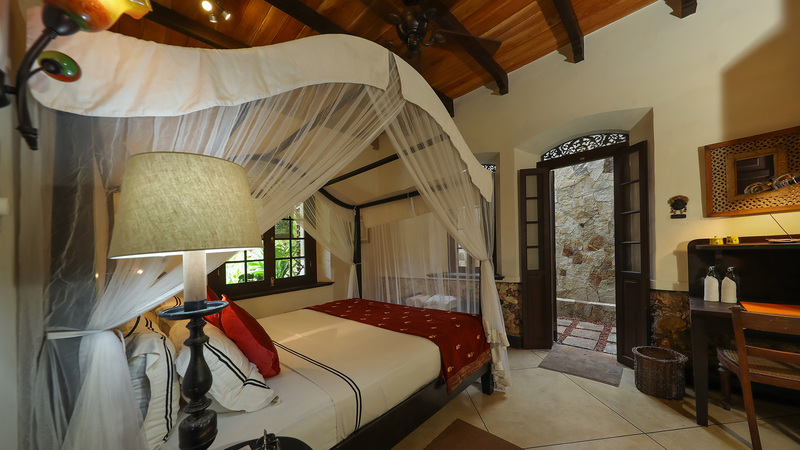 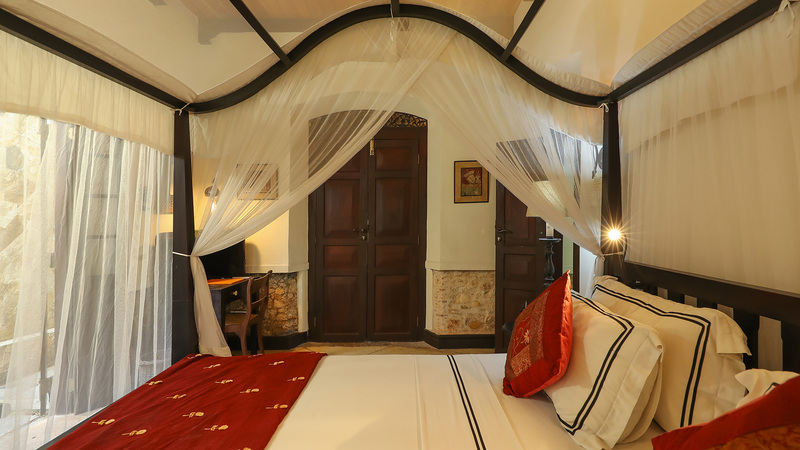 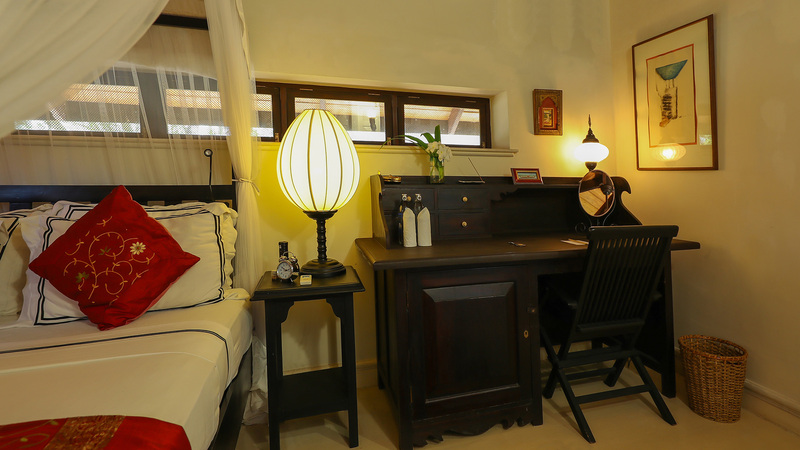 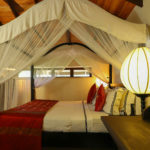 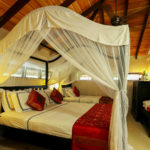 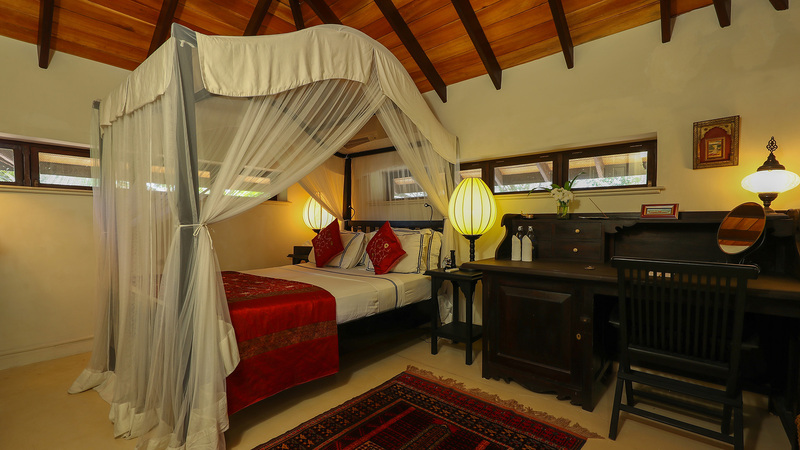 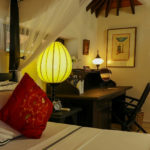 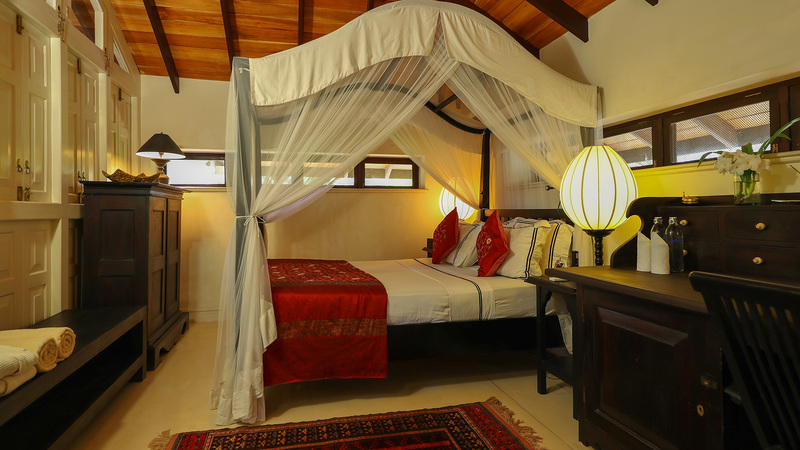 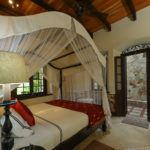 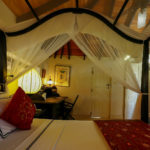 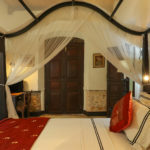 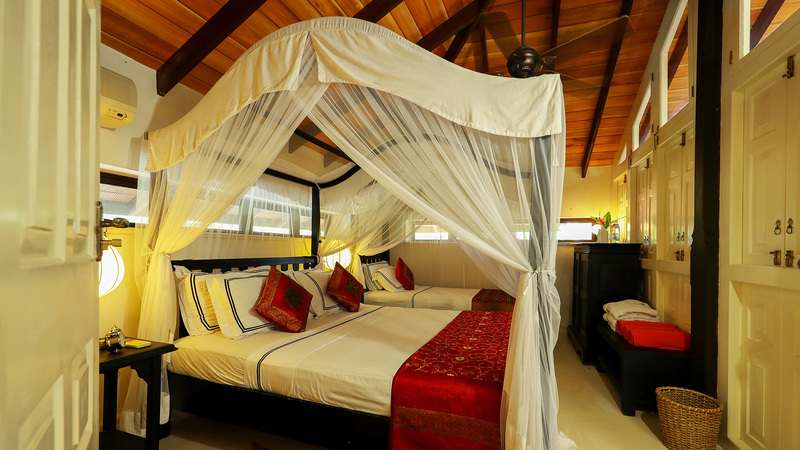 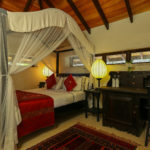 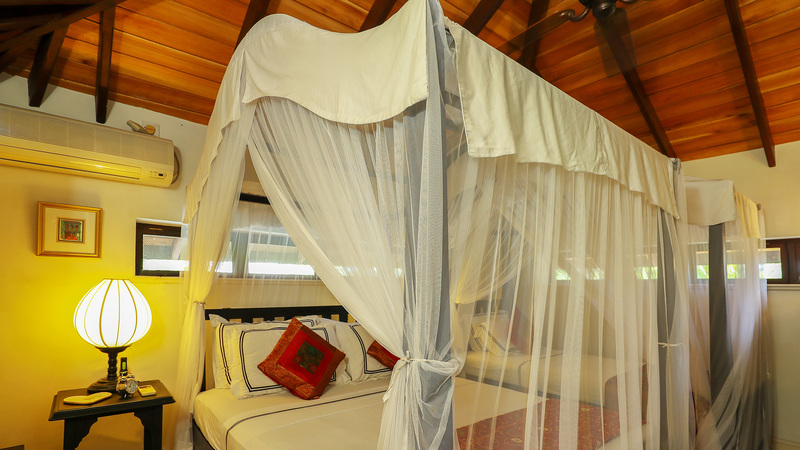 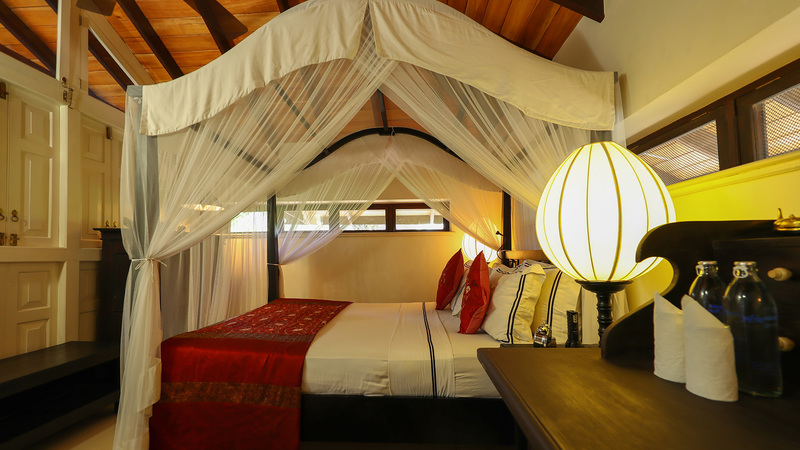 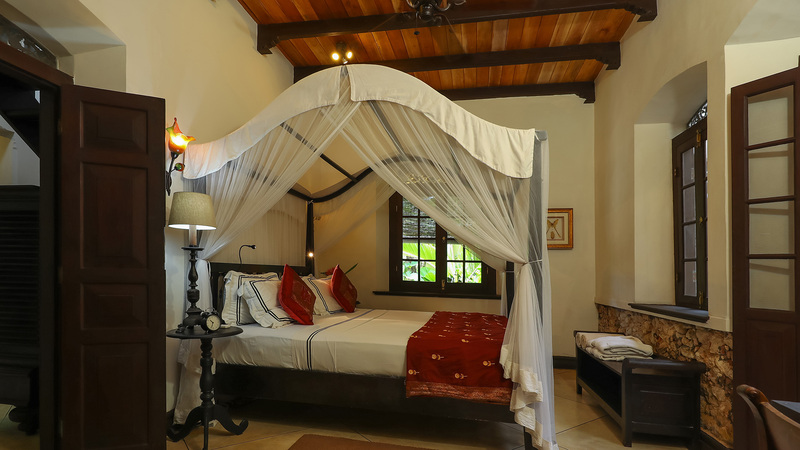 On the ground floor, the main bedroom has a king-size four-poster bed with mosquito net, a small writing desk, overhead fan and an air conditioner. 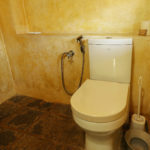 There is an ensuite bath/shower room and separate vanity /toilet room. 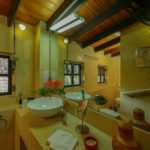 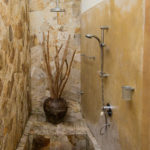 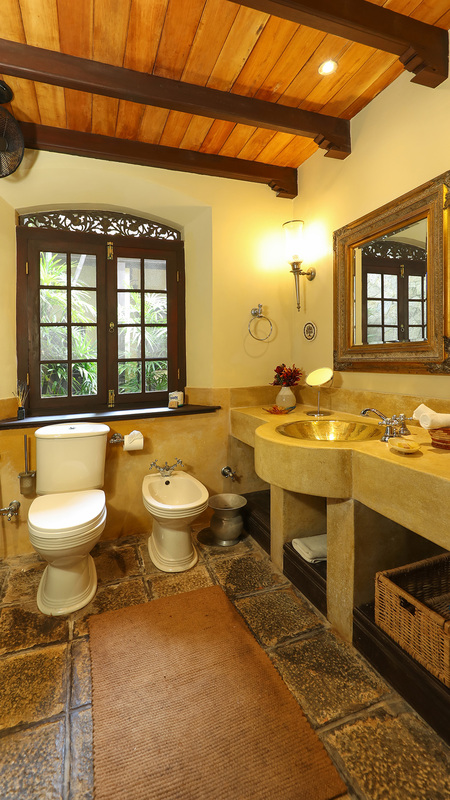 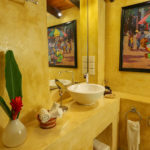 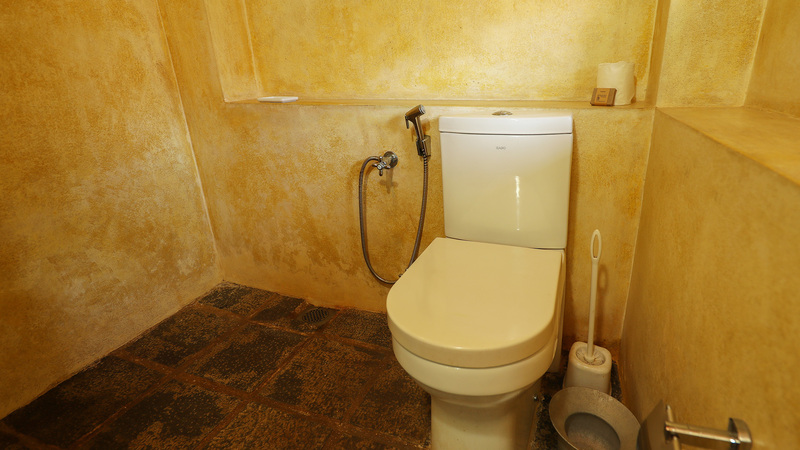 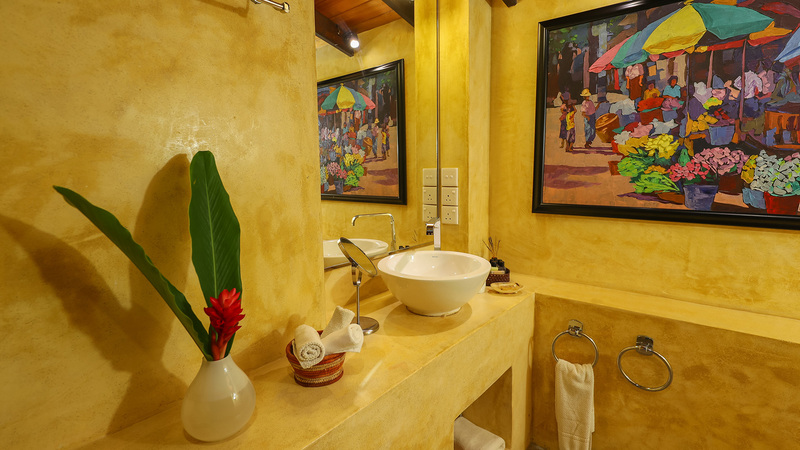 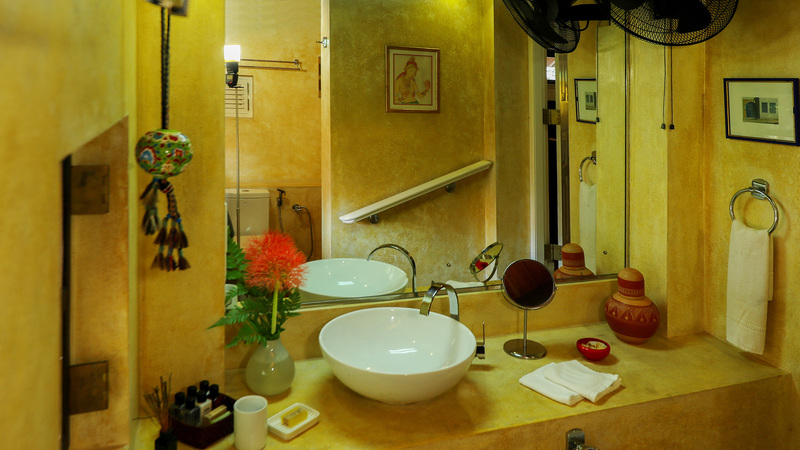 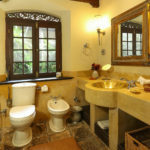 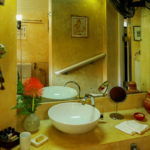 The ensuite bathroom has a large two-person bath and separate walk-in shower whilst the vanity room has a hand beaten, polished brass vanity basin and built-in wardrobe. 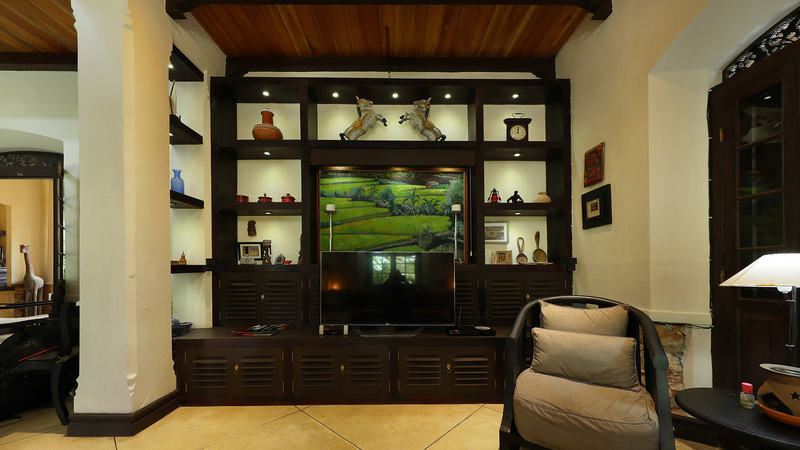 The ground floor also has a sitting room with a large, comfortable built-in seating nook, large size, cable 3D Smart television, DVD player and a large movie collection. 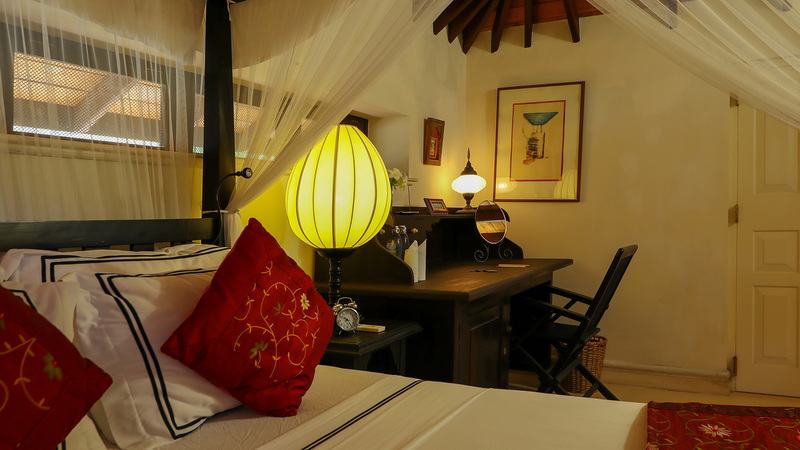 Upstairs there are 2 separate, light and bright, loft bedrooms with shuttered walls which overlook the central area of the ground floor. 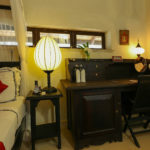 One up-stairs bedroom is furnished with a queen-size, four-poster bed, a writing desk and a small antique clothes closet. 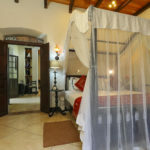 The second bedroom contains two four-poster beds with mosquito netting (a queen size and a super-single size) and a small antique cloths closet. 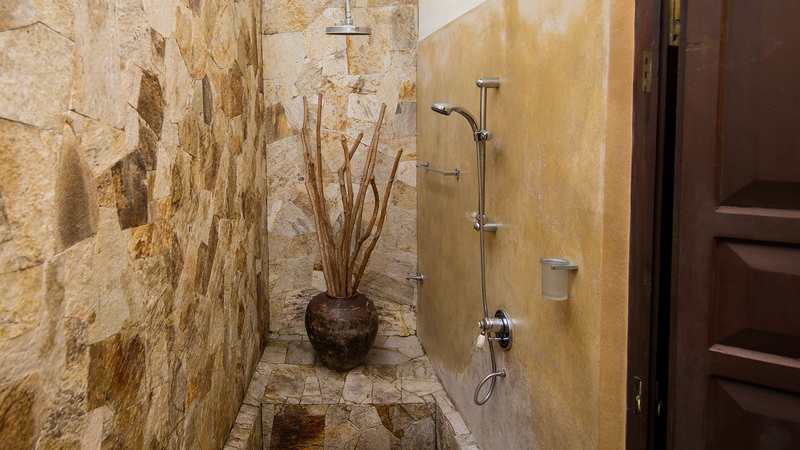 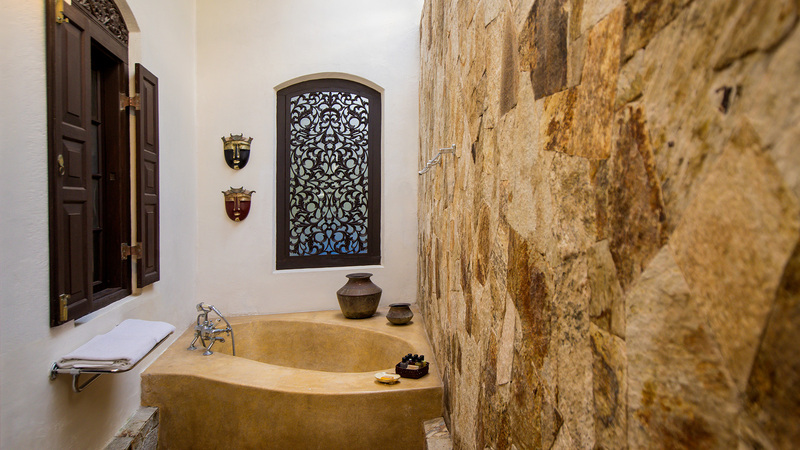 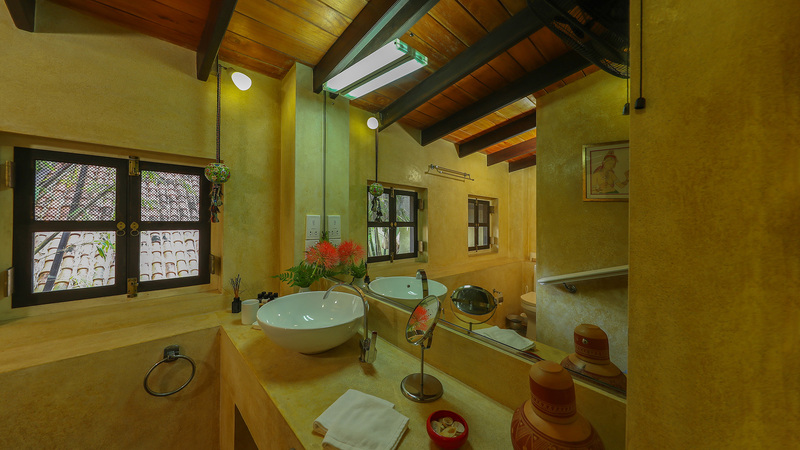 Each upper bedroom has its own ensuite bathroom with walk-in shower and polished terrazzo walls. 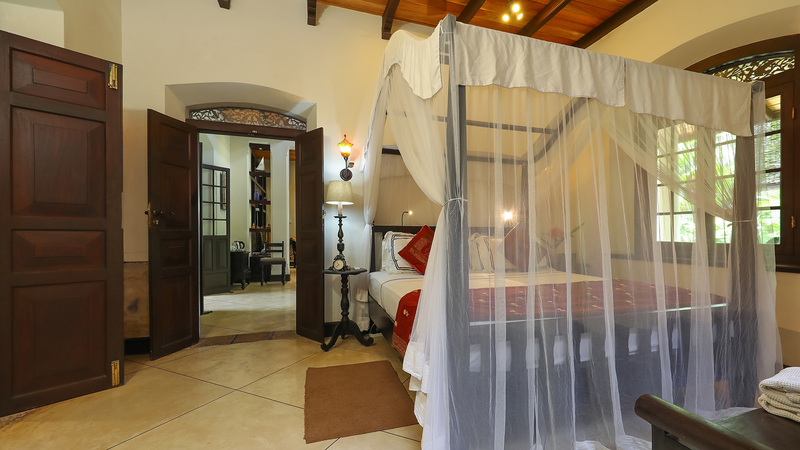 We are happy to welcome families with children. 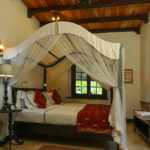 But maximum 2 young children allowed in any group booking, exception being in the case of full property rental ( This is so ensure a peaceful stay for other guests) For children under 10 free accommodation and breakfast. 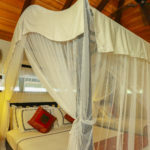 Baby cot is free.